INCREDIBLE OFFER! RRP: £227.95 (+VAT). SAVE £40! 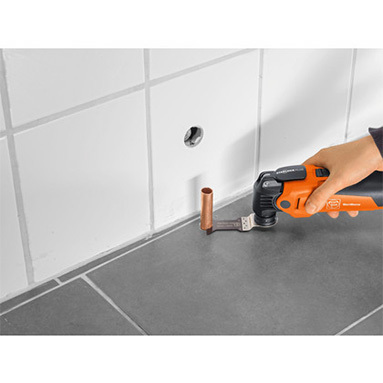 With a powerful 350w motor and tacho generator electronics, the new Starlock FEIN MultiMaster achieves the same work progress as the previous high-end FEIN SuperCut model. Get an additional 35% extra work progress compared with the previous FMM350Q! 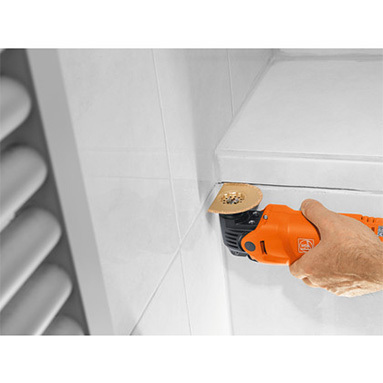 Change blades in under 3 seconds with the new Starlock / Starlock Plus tool mounting. 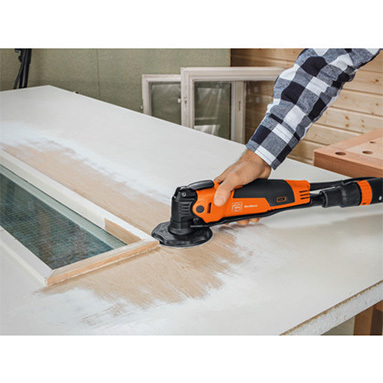 The No.1 oscillating tool on the market. Performance you won't find elsewhere in this class. Accepts all Starlock & Starlock Plus accessories. The tool and accessories were designed to work together to create a leading multi tool system. Anti-vibration system - outer motor housing decoupled by elastic dampers. This results in up to 70% less vibration and up to 50% less sound pressure. Better precision - the exceptionally rigid 3D form of the Starlock mounting means few vibrations in the vertical axis. Noticeably better precision when the tool enters the material - with cleaner work results. Metal gearbox head for very high load and tool life. With mechanical interface for depth stop or as attachment point.